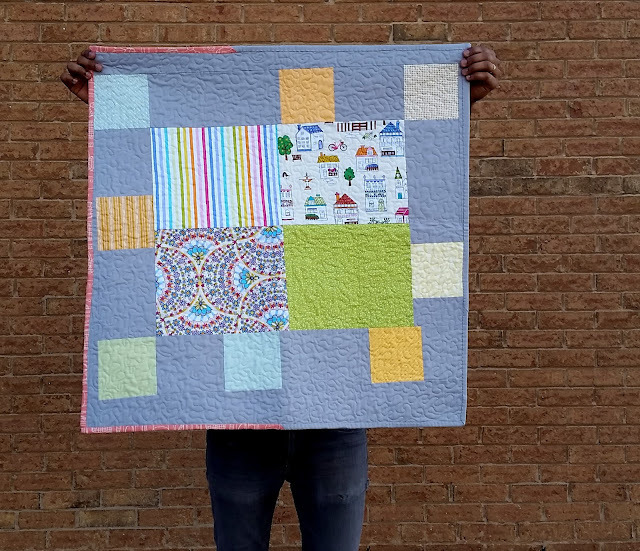 This little baby quilt is done! 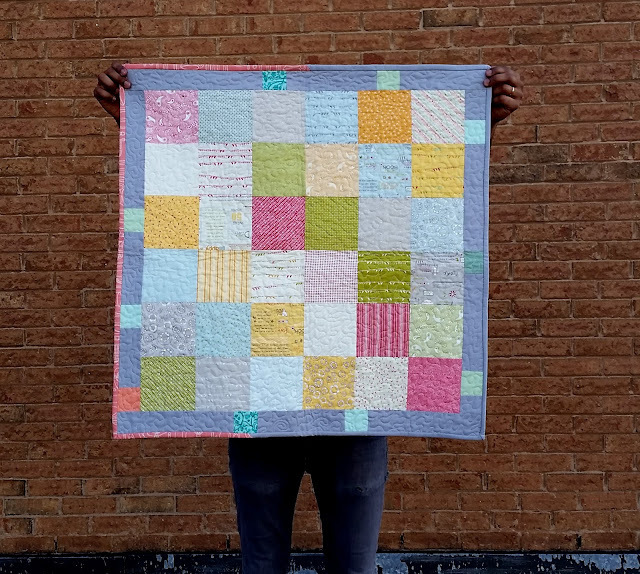 The fabric is from a Charm Pack from Moda called Noteworthy by Sweetwater. I made the quilt top in May 2013. You can see the first post here: It was calling out to me!